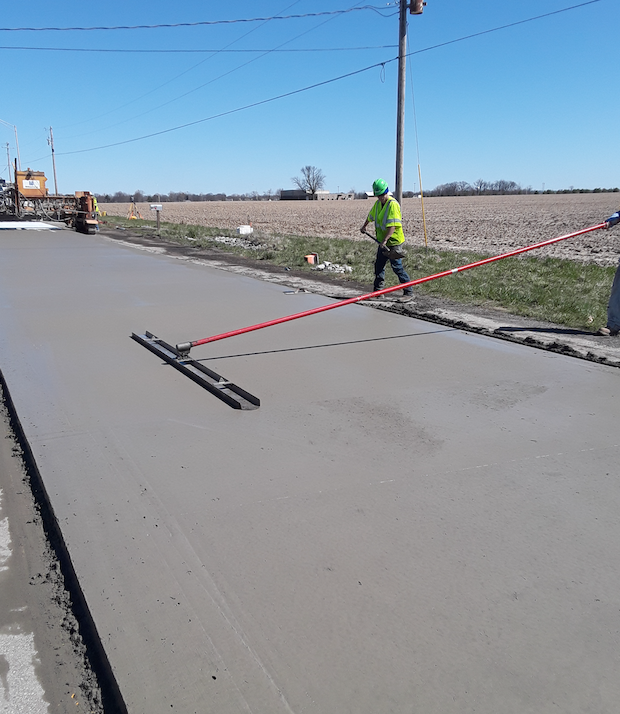 Indiana Department of Transportation specified macro synthetic fiber reinforcement for the State Route 9 concrete overlay project near Shelbyville, IN. 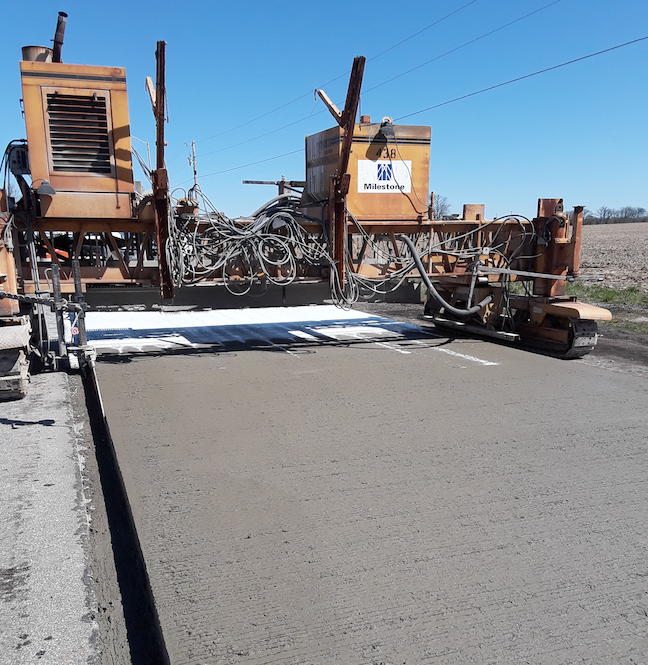 The 12-mile project required 4 1/2 in of fiber -reinforced concrete over scarified asphalt at a fiber dosage of 4.0 lb/cu yd. 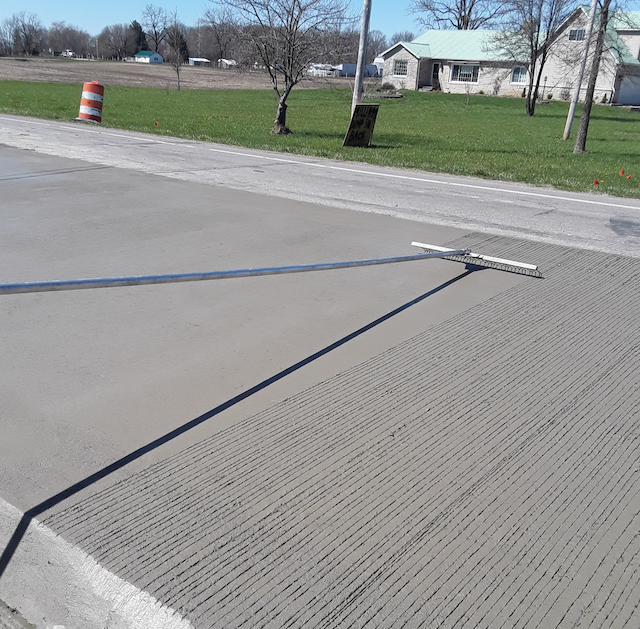 Paving contractor Milestone LLC of Indianapolis, IN, selected the FORTA-FERRO ONE® macro fiber for this job. 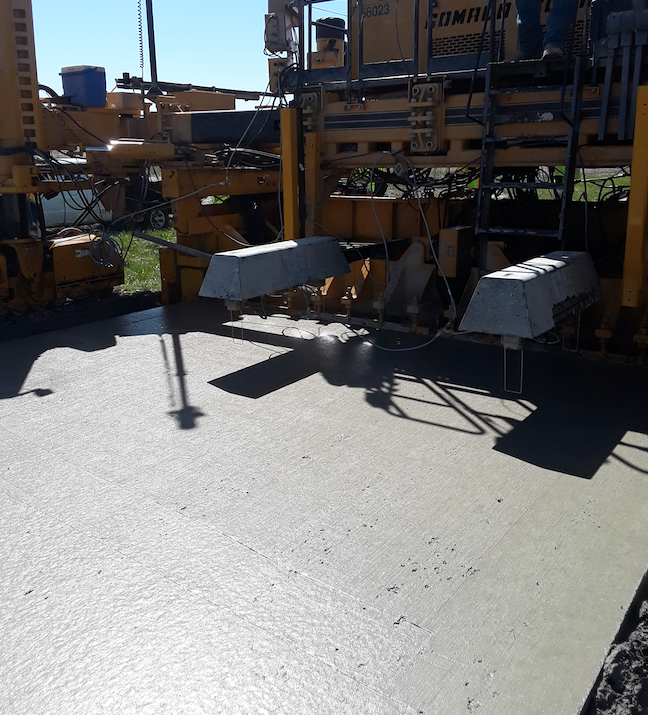 Milestone reported no addition, mixing, or balling issues with the fiber, and met all IN-DOT smoothness incentives for the project. The use of conventional 6 x 6 in panels required over 165,000 feet of early-entry sawcut labor, adding impetus to FORTA’s continuing efforts and trials to consider extending joint spacing on future overlay projects.